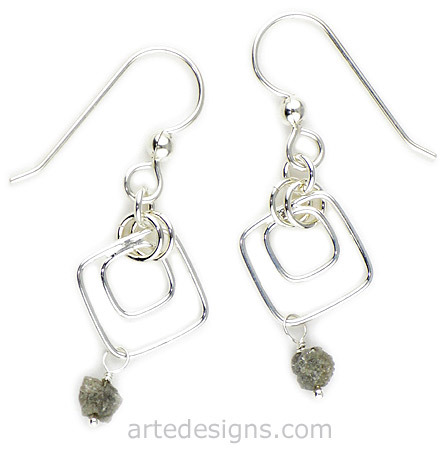 Natural diamonds in the rough hang perfectly under a modern and abstract sterling silver design. Rough diamonds vary in shape, size, and color, so no two are alike. Approximately 1 5/8 inches long. Sterling silver wires.